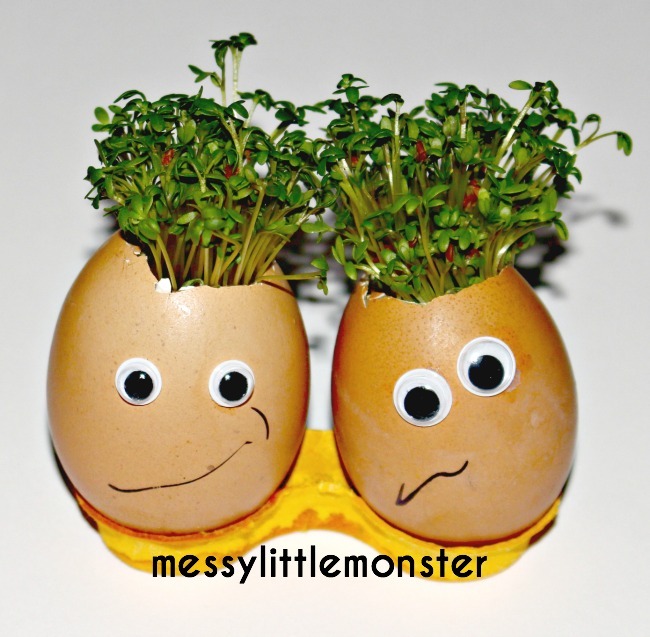 Growing cress heads in egg shells (using cotton wool) is such a fun Spring activity for kids. This simple science activity is perfect for toddlers, preschooler and older kids. Whatever their age kids will love designing and making their own characters and watching the cress hair grow. 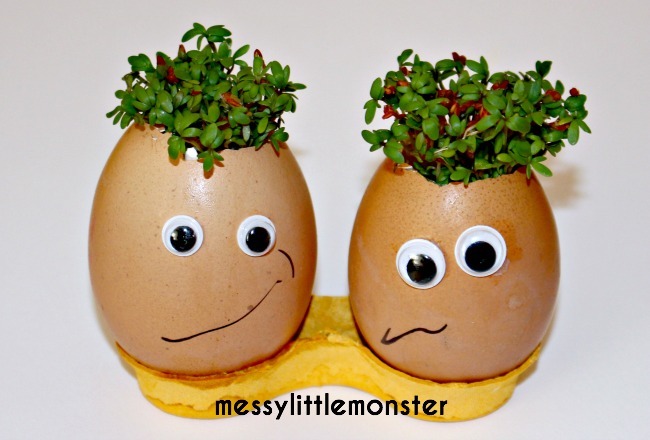 The cress grows within a few days and then kids can enjoy giving their characters a hair cut. This is the first time Harry has made these but i'm sure in the years to come we will be making many more! It's a great preschool Science activity as it teaches children about what plants need in order to grow. Harry was really excited to be growing something he could eat! 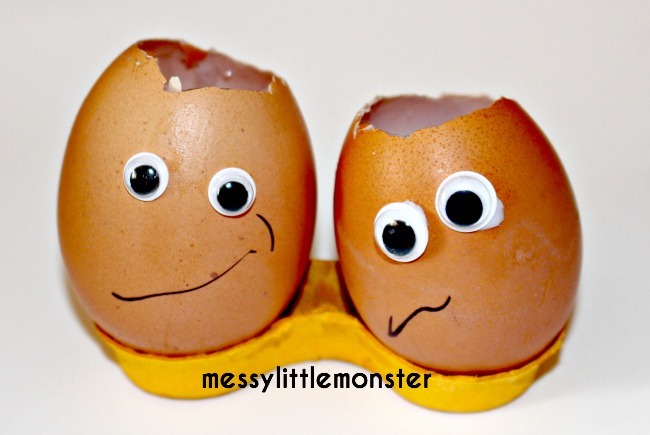 Draw a character onto your egg shell. You can be as creative as you like!!! Harry wanted to use googly eyes and draw the mouth on with a pen. He was really pleased that one of his heads looked happy and one looked cross! I love the wonky eye look he created! Put 2 or 3 damp cotton wool balls into the egg shell. Leave them in a sunny spot and wait for them to grow. .....and after 4 days they were ready for a hair cut. 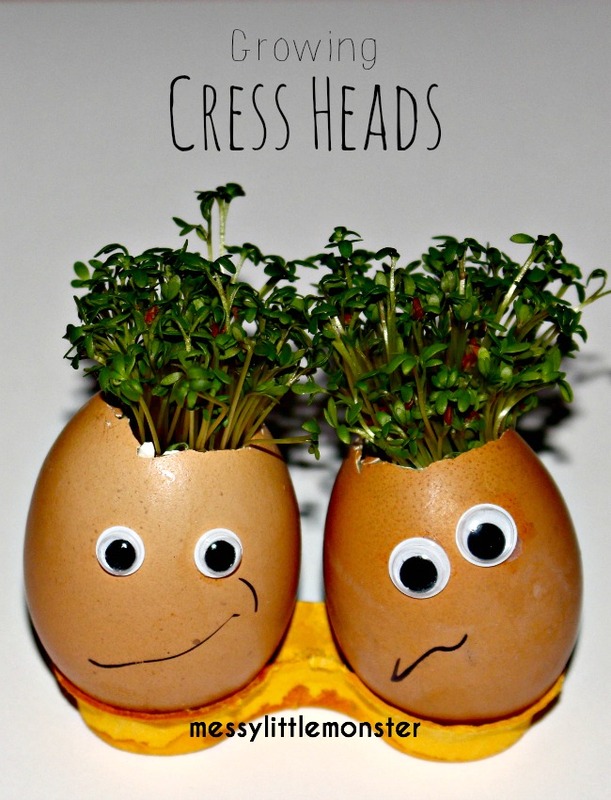 We hope you have fun groiwing cress heads, this is such a fun and easy science experiment for kids.